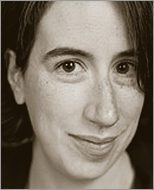 Liza Daly is a software engineer who specializes in applications for the publishing industry. She was the lead developer on major online products for Oxford University Press and has designed and engineered resources for Columbia University Press, Rosen Publishing and SAGE Publications. Currently she is an independent consultant and the founder of threepress, a platform to produce open source publishing tools.